Author of the famous slogan We are the 99% and linchpin of the Occupy movement, David Graeber is currently one of America’s most popular critical intellectuals. A self-described anarchist, this anthropologist has been combining political militancy with a prestigious academic career. David Graeber’s book traces the history of debt (a lengthy history at that), now a concept that has become eminently political. In passing, he also shakes up preconceived ideas on the origin of money, the genesis of debt, and social organisation in general. Over the course of the past 5,000 years, the storyteller takes the reader from New Zealand to Mesopotamia, from Scandinavian sagas to Iroquois narratives, interweaving the stories of history. 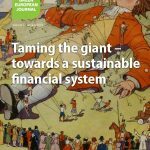 Green European Journal: How did you come up with the idea of writing a history of debt? David Graeber: I realised that while there were histories about almost everything, from underwear to money, none was written about debt. Meanwhile, the topic has obviously gained crucial significance since the crises of 2007/2008. Also, the word “debt” has a particularly strong moral connotation, as verified by its etymology. In many languages, the concept of “debt” is linked to that of “fault” or “sin”. In addition, I describe in the book how an anecdotal event triggered my interest. I was taking part in a charity event organised by a priest at Westminster during which I described to a militant lawyer the ravages that creditors had caused in Madagascar, a country where I spent a lot of time conducting research for my thesis: drastic health care cuts and ensuing infant mortality, hunger, disease, death. Her reply was: “But surely one has to pay one’s debts.” It intrigued me that the pervasiveness of moral judgement on issues of debt reaching far into circles where one would expected it the least intrigued me and prompted me to explore the subject. When discussing barter in your book, you are insisting on what you call the “myth of barter”. What do you mean by that? All economics courses and textbooks begin with the following historical fiction: at the beginning there was barter. As barter wasn’t very practical, people ran into difficulty finding adequate arrangements to settle exchanges on the spot, so money was invented, and currency as a unit of measurement. Yet, there exists no evidence from economic anthropology that supports this story. On the contrary: many ways of organising economic activities were found, but none of bartering, nowhere, never. The only exceptions are societies like in Argentina during the ’90s, with established monetary systems that underwent a severe a crisis that, as a result, resorted to barter in a substantial way. But, contrary to what economists so often maintain, this was not a return to barter. Barter is actually a new practice, a specific invention conceived in response to monetary crises in monetised countries. Money was born out of state violence rather than as a result of some benign intent to ensure the smooth exchange of goods or the requirements of benevolent commerce. In other words, at the beginning wasn’t barter: there was debt. Primitive exchanges did not involve the immediate exchange of goods in the form of barter. On the contrary, one party would put forth what the second party was interested in and the latter would contract a debt to be fulfilled once the creditor found something of interest to request from the other contracting party. Societies were closely knit such that instant payment wasn’t necessary. Quite the opposite, there evolved an intricate and multi-layered network of debts fostering economic production and social bonds. Debt, therefore, historically preceded money. The latter in fact has various origins, primarily found in criminal justice (very precise tables including the kinds of reparation due for specific types of offences) or the need for war (feeding an army being logistically cumbersome, peasants were issued currencies they had to accept in exchange for food). Thus, money isn’t borne out of economic necessity stricto sensu, but rather from state or proto-state needs. Money was born out of state violence rather than as a result of some benign intent to ensure the smooth exchange of goods or the requirements of benevolent commerce. The history of money is military history not economic history. How important is it to debunk this myth? If economists continue to believe in fables which anthropological evidence belies, what are the consequences? Are they serious? Once again, the invention of money is deeply connected to the necessities of war and the technologies developed for waging them. The myth of money emerging as a result of the inconvenience of barter allows for the white washing of this embarrassing truth. It also allows for the legitimacy of economics as a scientific discipline, separate from society and context. Believing that money existed before debt and was created to satisfy strictly economic necessities confers a kind of purity to economic “science”. Economics is then endowed with laws of its own, de-contextualised, de-historicised, and dissocialised. This is now the prevailing vision of economics in the academic world. The recent crisis should have acted as a kind of call to order and to reality, but has hardly had any impact in this regard. Trying to break this myth or to show that it is just that, a myth, also demonstrates that the foundations on which economics as a scientific discipline has developed are not only fragile, but also false, and that the entire edifice must be reconsidered. Inevitably, when one has it in their mind that everything is exchange, one can always bend reality enough to fit it into preconceived categories. This obsession took on paroxysmal dimensions in the ’60s, particularly in the works of Levi-Strauss: he asserts, for example, that all human life can be summarised into three spheres of exchange: language (exchange of words), kinship (exchange of women), and the economy (exchange of goods). This exaggeration also plays itself out when we hear that there is exchange (and therefore some form of reciprocity) in medieval societies between peasants who feed the lords and priests, lords who protect the clergy and peasants, and finally the clergy who pray for every one. If this is truly an exchange, the basis for it is rather odd: would peasants refuse to feed their lords alleging that they did not wage war satisfactorily the previous year? Concepts can be made to mean whatever one wants and this is what happened, in my opinion, with the notion of exchange and reciprocity. Debt, on the contrary, is a drastic departure from the general laws of exchange and reciprocity. This obsession with the idea of exchange, which preoccupied philosophers from the enlightenment to Nietzsche and Levi-Strauss, proved blinding in that it prevented us from seeing the very facts and practices before our eyes. The assumption that everything is governed by the concept of exchange and reciprocity leads one to believe that debt is the real root of morality as debt is the result of balance not being restored. Debt, on the contrary, is a drastic departure from the general laws of exchange and reciprocity. The concept of exchange needs a good deal of twisting for it to explain a number of social and economic practices. That is why I suggest replacing the idea that exchange and reciprocity are at the heart of human activities by a triad consisting of three principles – communism, exchange, and hierarchy – that seem to me more apt at explaining the diversity of practices and modicums of social organisation. How would you sum up these three principles and the way they operate? Communism, which has of course nothing to do with events in history that claimed association with it over the course of the twentieth century, describes the part of human relations founded on the principle of “from each according to their abilities, to each according to their needs”. There are many examples of this in history, including in industrialised societies. This is the case, for example, every time one collaborates on some common project. If you are in the process of repairing a broken pipe and you ask your colleague, “pass me the wrench”, the latter doesn’t ever respond by “and what do I get for it?” – even if you are working for Goldman Sachs or Exxon Mobil. The principle is also manifest when you ask for a light of a cigarette in the street. This baseline form of communism constitutes the raw material of sociality, recognition of our interdependence. Anthropologist Raymond William Firth reported a Maori story that illustrates my point and the logic behind baseline communism, albeit in a rather extreme fashion. A glutton in the habit of strolling along the seashores came to anger the village fishermen, as he persistently demanded the best part of their catch. To the extent that it was absolutely impossible for these fishermen to refuse his request for food, they agreed and gave him what was requested until the day they decided that enough was enough…and struck the man down. In other words, it was morally easier to assassinate this parasite than to deny him the food he asked for. As long as the person asking is neither an enemy nor making unreasonable requests, the principle of baseline communism will prevail without calculation or expectation of some form of reciprocity. Contrary to my second principle (exchange), communism does not in fact involve reciprocity or equivalence. One hands out a cigarette to a stranger not assuming that he will give one back, but rather assuming that come the day you need one, someone else will oblige. Exchange, on the other hand, posits that objects of exchange as well as the people exchanging them are of equivalent value. It assumes a form of reciprocity that has been improperly been branded on all social relations. Specific instances of exchange erroneously became rules of thumb. Commercial exchange is by definition impersonal, which is relatively new. At least in theory, because, in practice, a minimum level of trust is always necessary. Even in the most impersonal of shopping centres, sales personnel are still expected to show a modicum of friendliness and patience (not to mention bazaars in the Middle East). It is possible that we are at a pivotal moment in the history of our civilisation, the kind that is only experienced every five hundred years. To live through this period without utopian ideals would be a grave mistake. As regards the principle of hierarchy, it prevails, for instance, in medieval societies and has too been wrongfully described in terms of exchange. It occurs when the people transacting and the goods they are exchanging are of a different nature (food for protection, for example). This principle lies at the origin of castes, which again has been wrongfully analysed in terms of exchange and reciprocity. It goes without saying that these mechanisms and principles are not completely rigid and that a continuum can exist among them. According to these principles, debt is something very specific that requires a situation in which neither exchanging party feels fundamentally different from the other. But as long as debt remains unpaid, the logic of hierarchy will prevail between the two parties. This transition from a situation of theoretical equivalence to a situation of hierarchy constitutes the core of debt and explains how the concept acquired its moral significance. How have economists received and discussed your work? It depends on which ones (laughs). Clearly, this discipline is dominated by the neo-liberal paradigm, including Adam Smith’s founding myths, such as primitive barter. What is strange is that despite mounting anthropological evidence that this vision is totally wrong, the vast majority of economists hold on to the dominant paradigm. Surprisingly, they appear less loyal to other of Smith’s positions that are less in phase with capitalism’s current developments and are hence viewed as obsolete. Smith’s radical criticism of corporations, for example, was entirely overlooked. That said, and even if the discipline is obviously dominated by people and paradigms that are patently oblivious to empirical research, there are numerous researchers at the margins who are open to transdisciplinary reflection and are trying to integrate the teachings of sociology, anthropology, or history into their own research. And so, for example, I am far from being the first to denounce the “myth of barter”. If all those who preceded me failed to influence economists, it is probably because they lacked a substitute myth. This is in part what I am trying to accomplish with this new three-pronged paradigm. I also think that this triad has the advantage of bringing to light a series of interactions that have hardly been studied before and therefore remain poorly understood – namely everything pertaining to what I call baseline communism or everyday communism. By obstinately envisioning everything solely terms of exchange and reciprocity, it became impossible to understand what was there naked, before our very eyes. Your book ends at the threshold of the current crisis and abstains from making any policy recommendations regarding the issue. If you were asked to make recommendations, what would you suggest? By taking apart the moral rationale at the heart of the debt construct, I try to show that debt shouldn’t be treated any differently from any other kind of promise. Not fulfilling electoral promises has never barred politicians from re-election. In a loan, there is always a measure of risk that the dominant discourse on the necessary repayment of debts conveniently pretends to ignore. For the State, for instance, repayment of its debt cannot occur at the expense of the health and food security of its citizenry: only such unwarranted and exceptional moral status leads to the kind of excesses I witnessed in Madagascar…and to activist lawyers failing to see any problem with it. 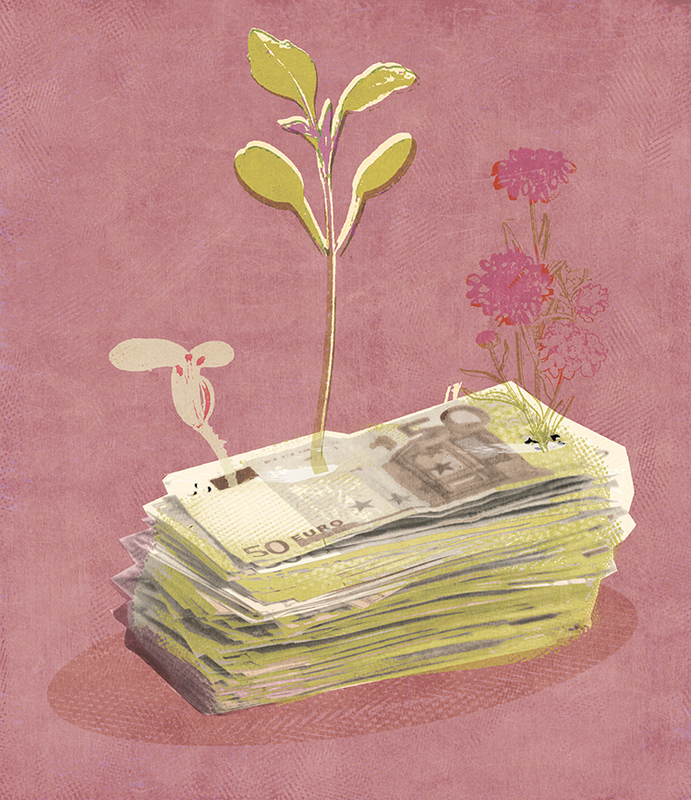 It is debt’s unwarranted moral status that triggered the writing of this book. It is also what I want to highlight in conclusion: this status is illegitimate and acts of absolute immorality are committed in its name. This transition from a situation of theoretical equivalence to a situation of hierarchy constitutes the core of debt and explains how the concept acquired its moral significance. How do you reconcile your activism with your academic career? We know for example that some of your former students have accused Yale University where you used to teach of not having renewed your contract because of your political positions and militant activities. Yes, I must confess that it was a spontaneous mobilisation on their part. As for me, the combination of academia and activism is not too difficult if you accept the idea that you will never again be hired for an academic position in your own country (laughs). For the rest, I have always made it a point to strictly separate the two in terms of publications. In academic journals, I publish nothing of what my militant activities inspire in me. When it comes to books or articles related to activism, I always try to avoid outrageous or avant-garde positions or claims of any kind of scientific superiority. On the contrary, I try to contribute to the best of my ability to the discussion of issues that are of interest to the movements I participate in, like any other member of these movements. You know, one of the “Occupy” movement’s less well-known merits, which took a long, very long time to emerge, is that in occupying a place one’s sense of urgency and daily imperatives begins to change. This makes it possible to entertain deeper and more sustained discussions than in situations where the need for efficiency calls the day. What topics are you currently exploring? I’m working on issues of inequality. As always, my perspective relies on anthropology and history. This will in all likelihood be the topic of my next book. There exist various myths regarding the so-called equality of certain early societies or the manner in which settlements were formed and cities born out of them have generated inequalities through the specialisation of labour. The first thousand years of urban civilisation in Mesopotamia constitute, from what we know, a period of great equality. Conversely, there are hunter-gatherer societies that are highly hierarchical. Obviously, the intention is not to romanticise the past, but to show that a great deal of what is presented to us as self-evident has, in fact, no historical basis. To free ourselves from these mental constraints is to set free a new utopian imaginary. It is possible that we are at a pivotal moment in the history of our civilisation, the kind that is only experienced every five hundred years. To live through this period without utopian ideals would be a grave mistake. You know, in recent decades a powerful anti-utopian movement has emerged that posits an artificial connection between utopianism and the gulag. Utopias aren’t the problem; the problem is only having one and imposing it on others. The following quote from Adam Smith is known more among the anti-globalisation movement than among economists: “The directors of such companies, however, being the managers rather of other people’s money than of their own, it cannot well be expected that they should watch over it with the same anxious vigilance with which the partners in a private copartnery frequently watch over their own. Like the stewards of a rich man, they are apt to consider attention to small matters as not for their master’s honour, and very easily give themselves a dispensation from having it. Negligence and profusion, therefore, must always prevail, more or less, in the management of the affairs of such a company. It is upon this account that joint stock companies for foreign trade have seldom been able to maintain the competition against private adventurers. They have, accordingly, very seldom succeeded without an exclusive privilege, and frequently have not succeeded with one. Without an exclusive privilege they have commonly mismanaged the trade. With an exclusive privilege they have both mismanaged and confined it” (Wealth of Nations V.i.e.18: 741).